Info: This feature requires Elvis 5.26 or higher. After restoring a backed-up index, the assets in the file store and the references to them in the index might not be synchronized. This is especially the case when only a slightly older version of the index is restored instead of restoring a matching backup of the file store. To validate if a repair is necessary and to optionally perform the repair, the File Store Rescue Tool of Elvis 5 can be used. The File Store Rescue Tool is available in the Management Console. Access the Elvis Pro client by accessing the following URL, log in using system administrator credentials, and choose Management Console from the Avatar menu. Step 2. 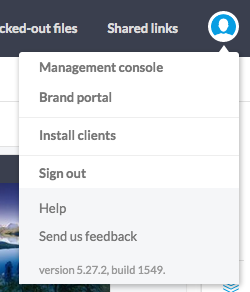 Choose User Groups or Users in the menu on the left side of the page. The first step in the process is to see if any assets need to be repaired. Step 1. 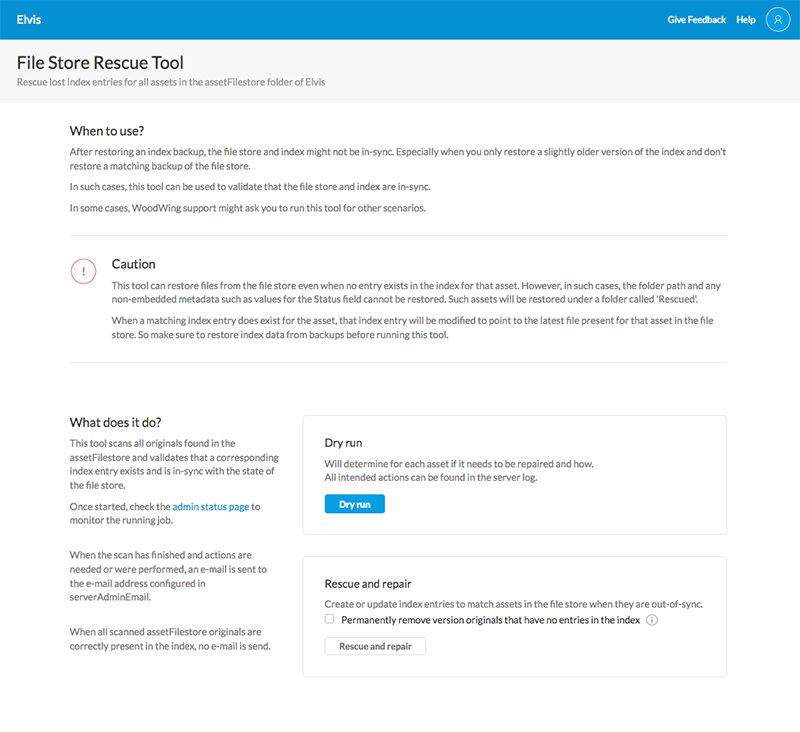 On the File Store Rescue Tool page, carefully read the instructions. Step 2. Click the Dry run option for the task that you want to perform. The results of the Dry run are published in the log files. To repair assets, click Rescue and repair. The results are published on the Server Status page of Elvis Server in the Running processes section. 18 December 2018: Updated section 'Repairing assets' by adding action 'Delete assets with missing out-of-sync-originals'.